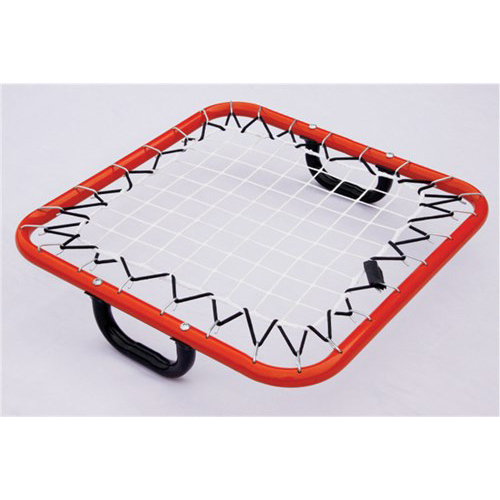 Sturdy rebounder made of heavy duty steel tube, GALVANIZED for extra durability. A great training device for players. Adjustable angle positions to control the angle of returning ball, comes completely assembled with frame, net & hardware. Foldable side arms and horizontal uprights for easy carriage, storage and transport. Packed flat to reduce volume. Available in different sizes. Other sizes are also available on request, please ask for more details. A great training device for players. 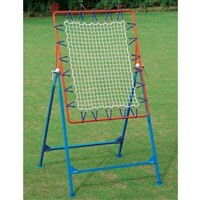 Adjustable angle positions to control the angle of returning ball, comes completely assembled with frame, net & hardware. Made of Steel tube, powder coated for durability. Foldable side arms and horizontal uprights for easy carriage, storage and transport. It can be used both indoors & outdoors, comes with anti-skid & anti-marking floor guard. Packed flat to reduce volume. Available in different sizes. Other sizes are also available on request, please ask for more details. This is an ultimate rebounder for coaches and players who would like to practice different techniques using one rebounder. 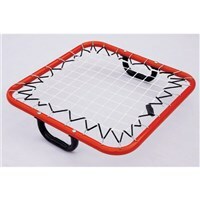 This rebounder can be used as flat 3 sided rebounder for multi-players practice at one time or as 2 sided angled rebounder for 2 players practice. Made of Steel tube, powder coated for durability. Easy to fold and pack for convenient storage and transportation. Available in different sizes. Other sizes are also available on request, please ask for more details. 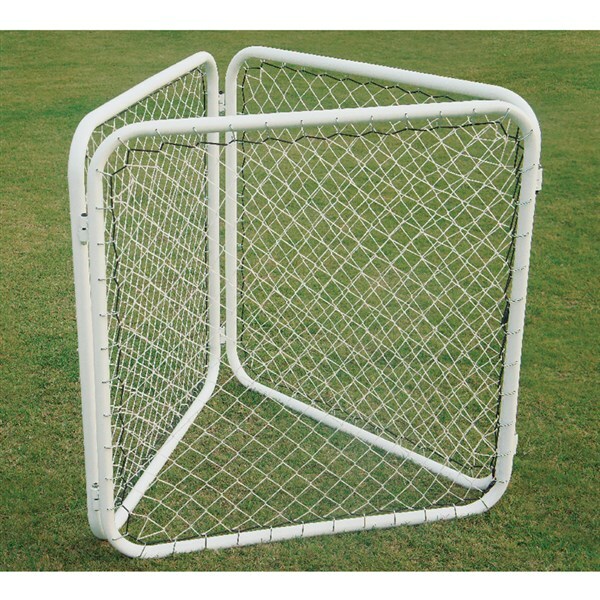 Sturdy large sized rebounder made of heavy duty steel tube, powder coated for durable finish. A great training device for players. Adjustable angle positions to control the angle of returning ball. Comes completely assembled with frame, net & hardware. Foldable side arms and horizontal uprights for easy carriage, storage and transportation. Packed flat to reduce volume. Available in different sizes & 2 variants. Other sizes are also available on request, please ask for more details. 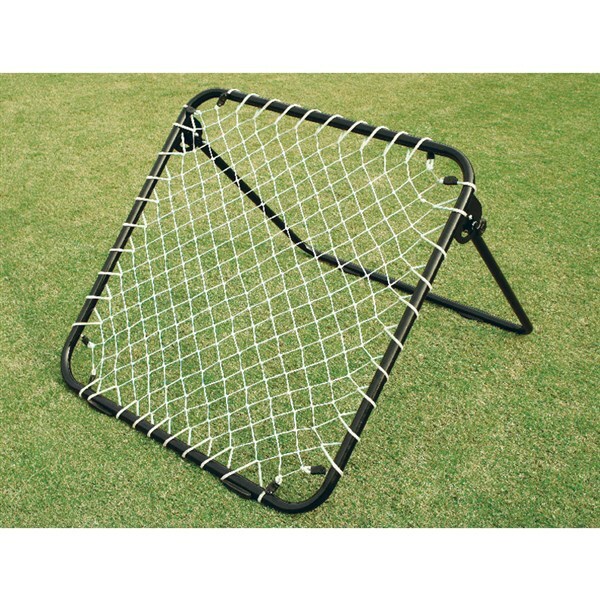 Sturdy mini size rebounder made of heavy duty steel tube, Powder Coated for durable finish. 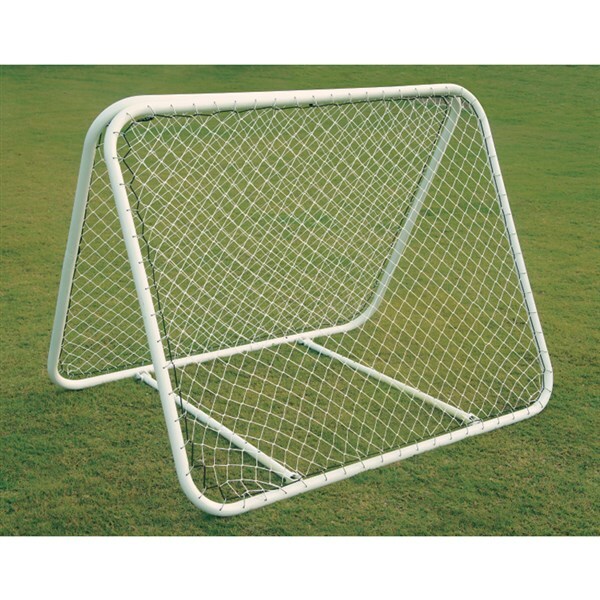 A great training device for the players. 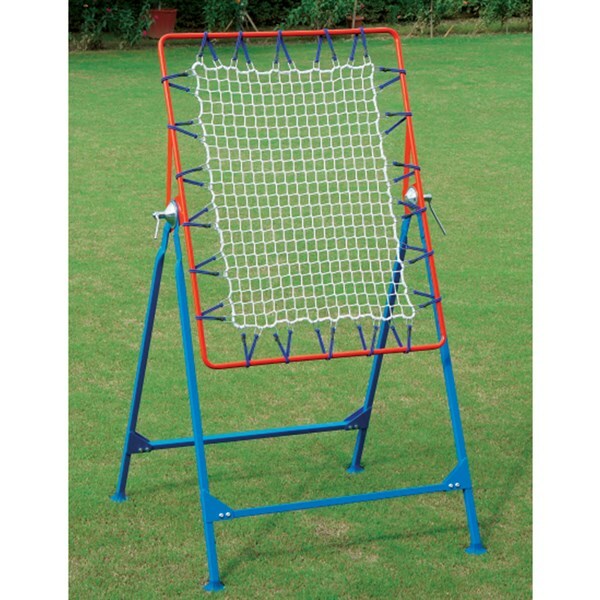 Adjustable angle positions to control the angle of returning ball, comes completely assembled with frame, net & hardware. Foldable side arms and horizontal uprights for easy carriage, storage and transport. Packed flat to reduce volume. Available in 2 variants. Other sizes are also available on request, please ask for more details. 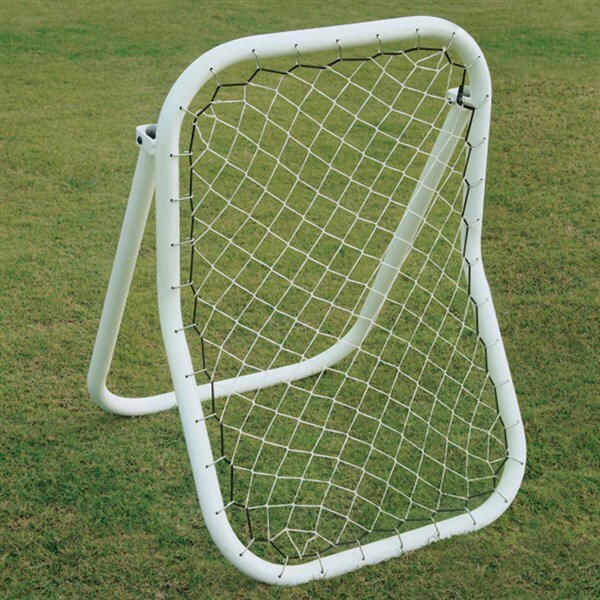 This curved shaped rebounder assists the ball in rebounding faster than the flat rebounder, which benefits the player to practice at the advanced level. Made of Steel tube, powder coated for durability. Easy to fold and pack for convenient storage and transportation. Available in different Sizes & Variants. 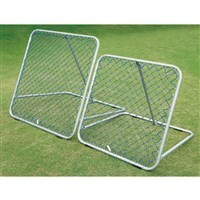 One side is curved and other side is flat so the players can practice on both side for optimum results. Other sizes are also available on request, please ask for more details. VCUR-DU0609M ...... ...... 60 cm (W) x 90 cm (H). 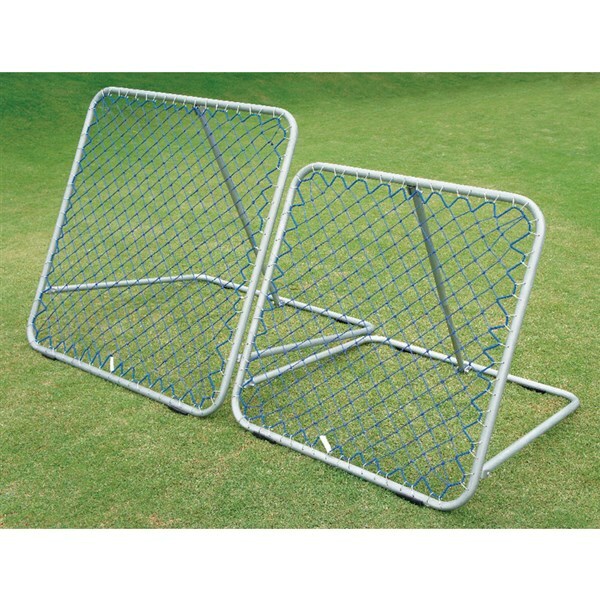 One side is curved and other side is flat so the players can practice on both side for optimum results. VCUR-DU1218M ...... ...... 120 cm (W) x 182 cm (H). 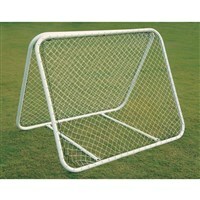 One side is curved and other side is flat so the players can practice on both side for optimum results. VCUR-SU0609M ...... ...... 60 cm (W) x 90 cm (H).One sided curved rebounder only. VCUR-SU1218M ...... ...... 120 cm (W) x 182 cm (H).One sided curved rebounder only. 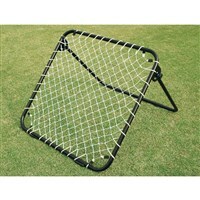 Sturdy Rebounder made of heavy duty steel tube, powder coated for extra durability. A great training device for players. Adjustable angle positions to control the angle of returning the ball. Comes completely assembled with frame & net. 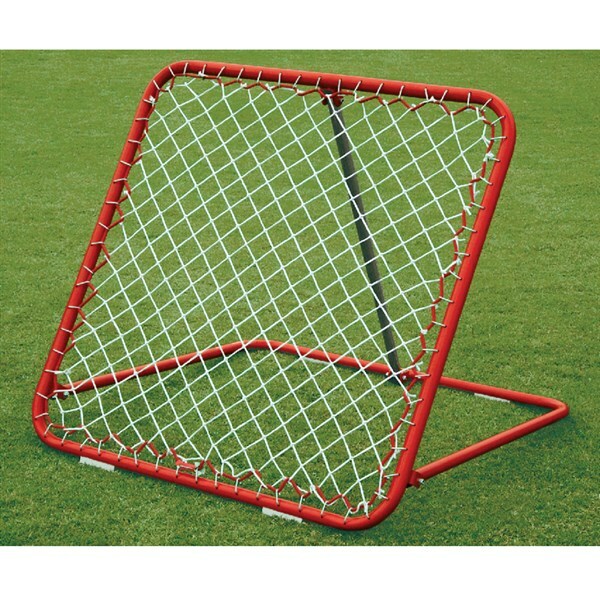 Sturdy large sized Rebounder with base made of 1 Inch Square Steel Tube, Net Frame made of 3/4 Inch diameter steel tube & rubber non-marking floor guards at bottom. Powder coated for durable finish. 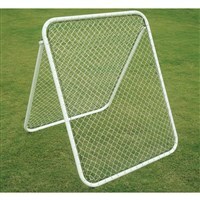 A great training device for players to help improve stamina, strength and accuracy. Adjustable angle position for practicing at different angles. Comes completely assembled with frame, net and hardware. Foldable design for easy storage and transportation. An ultimate training rebounder for goalkeepers. 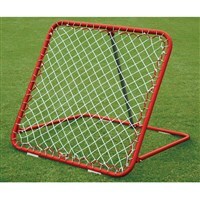 This Goalie Rebounder is made of 25 mm steel tube & powder coated for durability. Easy to hold with two hands. 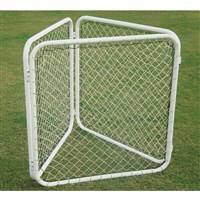 Comes completely assembled with frame, elastic net & hardware.